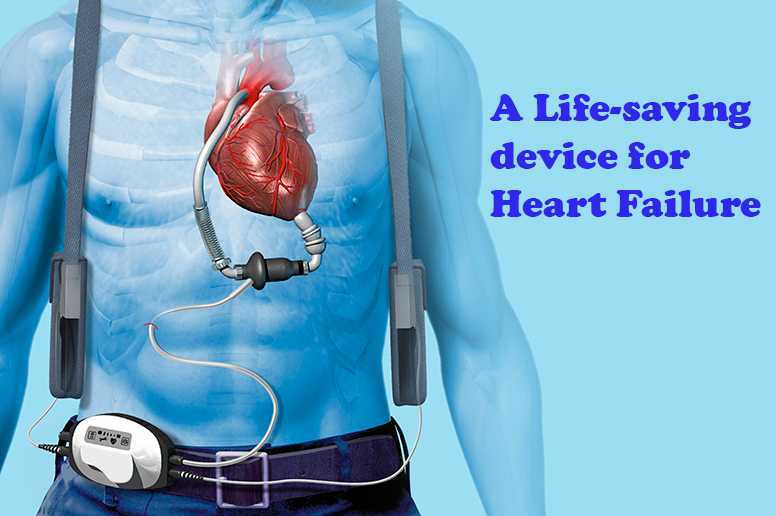 Left Ventricular Assiste Device (LVAD) in singapore help end-stage heart failure patients stay fit for a transplant until healthy organ is available. It is an implanted mechanical-pump that can mean the difference between life and death for a person whose heart is too weak to effectively pump on its own. "When there's a failure in the heart's left ventricular chamber, the device aims to assist its main function to pump the blood through out the body without any obstruction" said Dr. Lim Chong Hee, a cardiothoracic surgeon at mount elizabeth hospitals in singapore. restricted supply of oxygenated-blood flow to the body from the heart due to left ventricular failure increase the risks of damaging other organs as well, explained Dr. Lim. Eventually, this condition may lead to total heart failure or death. An LVAD can be used either as temporary or a permanent solution to sustain the cardiac muscles. Some patients may need it until they fully recover or a heart is available for transplant, while others have to keep it for life. "The LVAD briefly restores the heart function,which gives time for the body to reverse any organ damages, allowing the patient to go for a transplant in a better shape" explained Dr. Lim. He also recommended implanting LVAD transitorily to recover from various treatable cardiac conditions, such as viral infections. "While the patient is undergoing therapy, the LVAD will assist the heart function for a period of time until it significantly improves & is able to effectively do its job, then the LVAD pump can be removed," he said. In some cases, terminally ill patients who are ineligible for a heart transplant can permanently use an LVAD, which improves their survival odds. Some studies have revealed that using a permanent LVAD device doubled the one- year survival rate of the patients with end-stage heart failure if compared with drug treatments alone. On top of that, LVADs can be implanted in young patients as well. For example, one of Dr. Lim's youngest patients was an 11-year-old boy who flew in from malaysia on the verge of losing his life from heart failure. His chances of recovery were very slim until Dr. Lim was able to implant an LVAD. After weeks, he recovered & was able to return home. However, some patients are too young to receive an LVAD because of their limited chest size, so the device has to be implanted externally, forcing patients to be hospitalised until the pump can be removed. The device is attached to left ventricular chamber in order to pump blood to the heart's main artery known as aorta - through an open heart surgery. This device will have a small wire that passes through the abdominal wall & is attached to an external computer controller, a batter & another reserve pack. Dr. Lim explained that the controller provides energy to the device through the wire & is used to maintain the pumping speed in the heart. It also records data to help monitor the device's behaviour. Patients are required to wear these external units at all times, sometimes on a belt or harness, outside the body. the bayyery has to be recharged everyday. "Unfortunately, technology has not advanced yet to the points where all the units of an LVAD can be implanted inside the body," acknowledged Dr. Lim. A patient's recovery prospect depends on the individual's overall health conditions before entring the operating theatre, according to Dr. Lim. "LVAD mainly protects the heart function, so patients with other health issues like kidney or liver failure face an increased risk of complications & a longer recovery time," he said. Most patients are required to stay in the hospital for a minimum of two weeks to recover from the surgery, while being closely monitered for potential health risks associated with the organ failures. Before leaving the hospital, patients & their caregivers are trained to recognise any circumstances that may pose a concern at home like low blood flow or any signs of infections. Also, both caregivers & patients must learn how to clean the device. "As you get it, you can do normal activities like driving or light sports," explained Dr. Lim. Medisense Healthcare’s dedicated & experienced staff provide genuine care & comfort, and to attend the special needs of patients before, during, and, if necessary, after the visit.